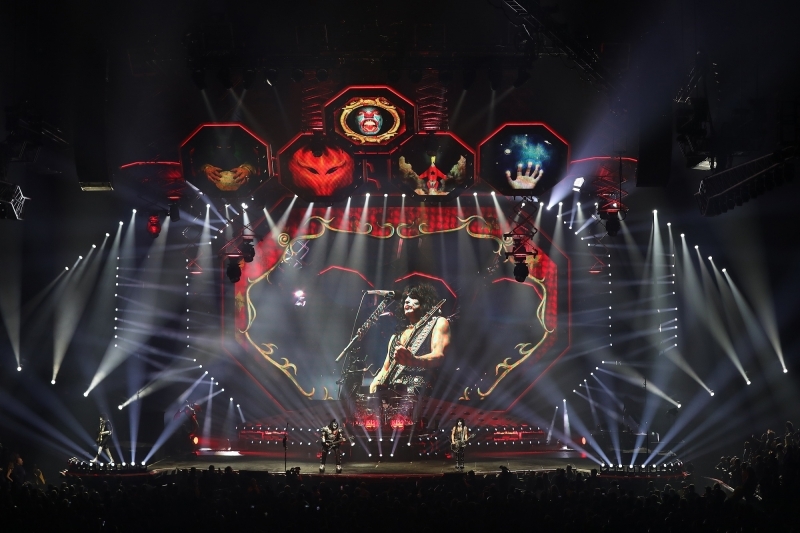 Legendary rockers KISS launched their farewell "End of the Road" world tour in Vancouver in late January and use a multitude of Elation DARTZ 360 effects as key visuals in the dynamic, multi-sensory show. 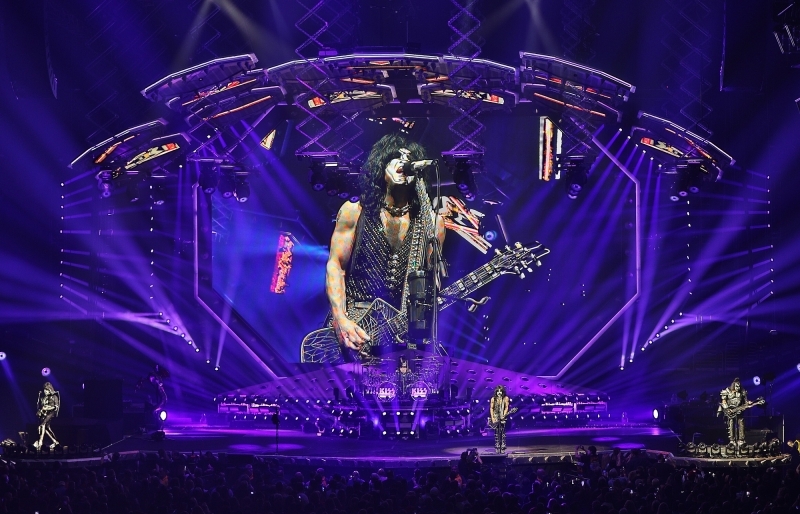 More than 40 years on and KISS can still draw a crowd anywhere in the world with their crowd-pleasing hits and, undoubtedly, elaborate live show. "It's simple, four-on-the-floor, rock 'n' roll music with heavy guitar rifs," said production designer Sooner Routhier of the music's continuing appeal. "As far as lighting, it requires an old school light show with simple cuing that accents the music but isn't overly embellished." 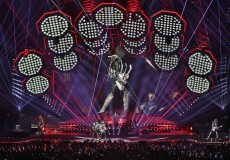 Routhier co-production designed the show with Robert Long, who has been with KISS in various roles for over 20 years. Associate designer/show director is Ashley Zapar. 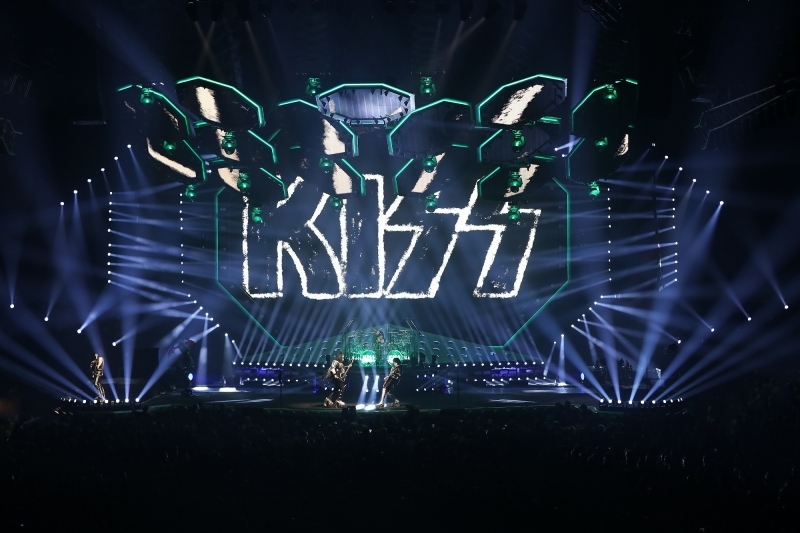 Routhier and Long, who have served as production designers for KISS since 2013, say that they and Michael Cooper originally programmed the "End of the Road" show "with a lot of complex cuing, heavily accented with just about every beat embellished with some sort of fancy timing." Routhier adds, "Once we saw the entire picture come together in rehearsals though, we realized that we needed to strip back the cuing to let the overall picture of the production shine through." The result is classic KISS with the lighting complementing the band's timeless on-stage theatrics and power-driven rock numbers. The setup is pure eye candy with 19 moveable video pods above the stage creating different shapes throughout the show while several pantographs with beam lights and strobes help create an industrial look. "Our main objective with lighting was to make a completely configurable lighting design package," Routhier explains, adding that the design required "a smaller fixture that was very beamy and could provide quick movement throughout the stage." Narrow-beam DARTZ 360 LED moving heads with 3-degree aperture fulfill that speedy, tight beam requirement with 218 fixtures placed throughout the scenic and lighting trusses. "We've positioned two sets of torms on stage right and stage left of the upstage video riser and loaded them with DARTZ," Long explains. "DARTZ are also mounted end to end across the entire upstage structure and drum riser to provide a lighting element to the scenic. They help add background to the stage and widen the overall look." KISS shows are filled with classic moments and perhaps none is more iconic than Gene Simmons' fire-breathing performance. Fulfilling a special role in the routine, DARTZ fixtures act as spinning red police beacons. "We tilt them into the scenic and use the fixture's continuous pan movement to create the effect," the designer says. "They do the exact same effect in the torms flanking the video wall." Lighting vendor for the "End of the Road" tour is Christie Lites, whose Martin Kelley has always provided top notch service, Long says. 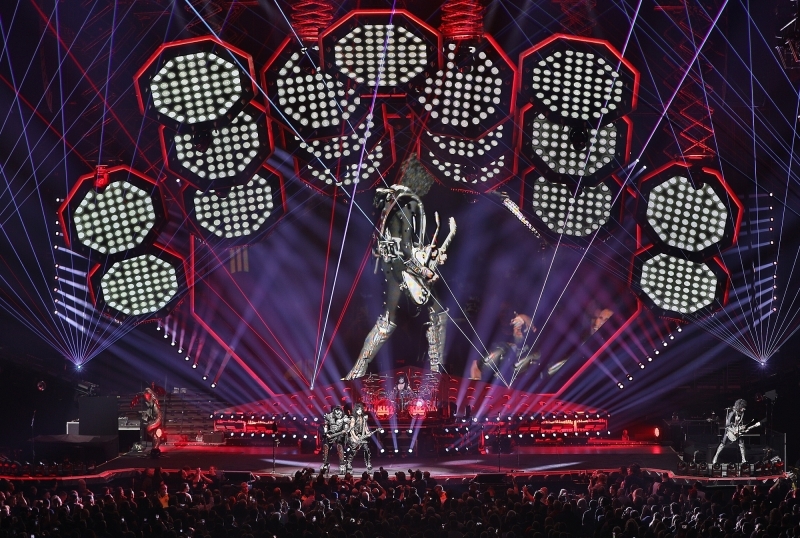 "The lighting crew on KISS is incredible and talented. The gear is well maintained even though they have to combat pyro on a daily basis!" 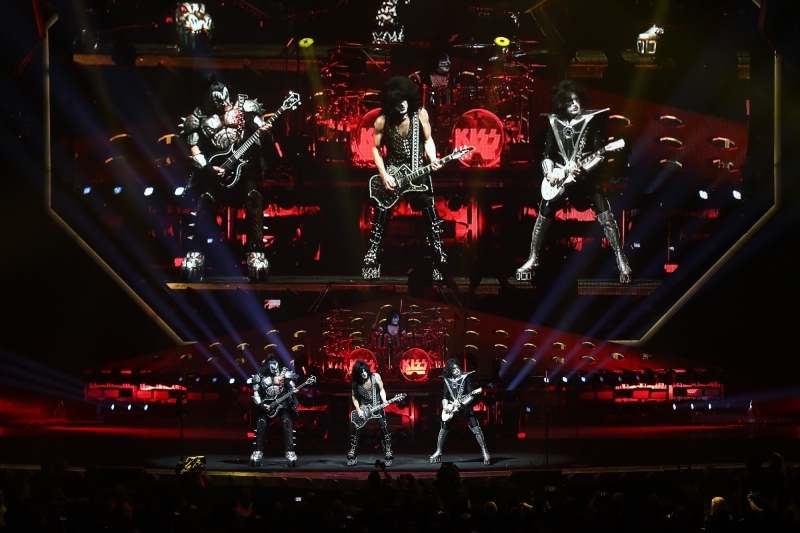 "End of the Road" is likely KISS's final tour ever and is getting glowing reviews as another iconic rock 'n' roll show from one of music's vintage acts. The tour plays North American, European and Australian dates through the end of the year.